Murder Hole Cave in Catawba, Virginia is an infamous wild cave on the property of Dan and Marian McConnell. It is the subject of a non-fiction book (available in paperback and hardback) published in 2012 by the National Speleological Society and Greyhound Press. A 28-minute video documentary by David Socky and Marian McConnell is also available! Please note that the cave is on PRIVATE PROPERTY and you must have permission to visit it -- for your safety and to protect the cave. Murder Hole Movie had it's Premiere at the Grandin Theatre on September 21, 2016. It was a huge success with over 450 people attending between the two showings. Blue Ridge Grotto will be hosting a Caves and Karst Day event at the Science Museum of Western Virginia (Center on the Square) in Roanoke, VA on Saturday, June 8, 2019 from 10a-4p. This is in conjunction with National Caves & Karst Day and Virginia Cave Week. We will have free handouts of info about caves, bats, sinkholes, and karst. We will be showing the Murder Hole Cave movie and offering books and movies for sale. We will have "show and tell" of caving equipment and about caves and have Q&A opportunities. 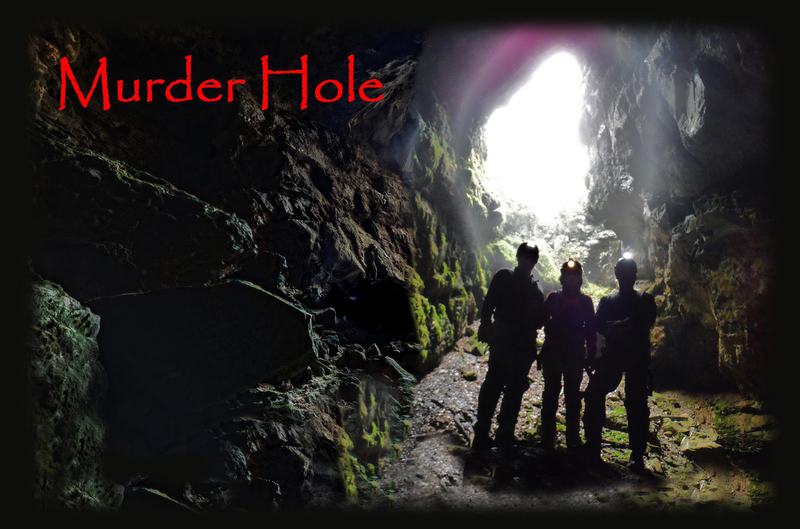 See the Murder Hole Facebook page at this link for up to the minute info, events, photos, and other related things. See 9/20/2016 WFXR 'Good Day Virginia' interview with Dave Socky and Marian McConnell on the Murder Hole Cave premier at the Grandin theater - Click here. Gene Marrano on WFIR radio interview on the Murder Hole documentary- Click here. See 8/22/2016 WFXR News Clip on Murder Hole at this site. See the 8/23/2016 interview with Marian McConnell and Dave Socky on the WFXR Morning News program at this site.